Inventory management can be a huge pain for retailers. Staying on top of stock levels, performing regular inventory counts, managing stock across multiple channels or locations — if it’s not all done right, it can eat up hours and hours of your time and force you to do wasteful manual work. It’s crucial that you have an inventory management solution that works for your business and that you give your employees the knowledge, tools, and training to effectively use that system and to stay on top of stock control. If they’re empowered and enabled to do these things, you’ll in turn be able to fully reap the benefits of smooth inventory management: increased efficiency, greater security, and easier sales and data tracking. In this post, we’ll share some quick tips to help you and your employees stay on top of stock. Keep reading to ensure you and your team are always winning the inventory management game! 1) Set up your products correctly. If your system is disorganized or if your employees aren’t fully comfortable with your inventory management solution, they’re going to have a hard time keeping tabs on stock. For this reason, it’s important to set up your products correctly in the system. Use product categories to group items into more manageable sections and to make them easy to find. Don’t give in to temptation when it comes to skipping categories, either; it takes only a few extra seconds, and it’ll be worth the investment. Once you’ve decided how you’ll categorize products, make sure you give this information to your team so they know what to look for if and when they’re in need. We recommend creating a simple spreadsheet where you can keep track of keywords and attributes — and then sharing the sheet with your employees so it can function as a company-wide tool. 2) Invest in inventory training. If you want your employees to effectively stay on top of stock control, you have to ensure they’re familiar with the ins and outs of your processes and technologies. The best way to do this? Provide detailed training for every member of your team. Professional inventory training will ensure that each one of your employees is competent and knowledgeable when it comes to the importance of the inventory management process. It’ll teach them how to use basic tools such as inventory spreadsheets; inform them of the essential nature of inventory counts and the different types of counts you can perform in-store; give them the confidence to minimize inventory-related mistakes and losses; and generally make them more comfortable dealing with inventory on a daily basis. This will eliminate confusion and mistakes, and knowing the basics will give your employees the confidence to operate the system with ease. Inventory counts are essential in retail, as they allow you to maintain accuracy, avoid shrinkage, and ensure you always have the right amount of stock at the right time. Teach your employees how to conduct inventory counts so they can effectively help you during the process or even spearhead a count themselves. These are inventory-related tasks that you’ll want your employees to handle on a day-to-day basis so you don’t have to constantly worry about them. Train employees on knowing when to order more stock and on how to do it in your system, and make sure they know how to receive stock when they’re working. Misplacing merchandise or failing to keep accurate inventory records can quickly lead to significant losses in your retail business, so you want employees to be properly trained and informed in this area. 3) Take advantage of training and/or onboarding services from your inventory management solution. Many inventory management solution providers in today’s market offer training or onboarding services so both you and your employees can learn how to take full advantage of the system’s features and capabilities. The team behind the service itself will be able to give you the most comprehensive overview of the system, and they’ll be able to provide support and further assistance in any necessary areas. Consider giving your existing provider a call to ask about these options — or, if you’re contemplating switching providers, see if you can get your new one to bundle onboarding and/or training as part of a sign-up deal. 4) Set the right user permissions. Managing user permissions in your point of sale system is essential for ensuring maximum security and minimizing losses in your business. It’ll also help employees stay on top of inventory by simplifying what they’re allowed to do in the system. For example, you may want your cashiers to be able to perform returns and exchanges but not to be able to apply discounts during those busy sales periods. By only allowing managers to perform discounts, you can be confident that it’s for a good reason. Also be mindful of who can view certain types of information. Will you let everyone on your staff see supply prices, margins, and gross profit figures? Or is that for your (or your manager’s) eyes only? Whatever the case, be sure to stay on top of those permissions. It’s probable that your existing point of sale solution offers a user permissions feature — so if you’re not taking advantage of it, do yourself a favor and remedy that situation. And if you know it’s there but you’re just not sure how to use it, call your provider and ask for a quick rundown. 5) Use the right tools. Behind every great system are the tools to back it up — which is why it’s crucial that you find the right tools to help your employees stay on top of inventory. These can take any form (inventory spreadsheets, mobile apps that sync with your system, forms you print off to help with inventory counts), but we suggest choosing tools recommended by your inventory management solution. This way, you can be sure that whatever you’re using is optimized for your particular system and that there won’t be any unexpected glitches or issues between the two. Take Counter, for example. Counter lets you do full and partial inventory counts using your iPhone, iPad, or iPod Touch. Just scan your product barcodes using your device’s camera, and the app will automatically save and record all the necessary product information. When you’re done counting, Counter will create a CSV file containing each product’s name, quantity, and SKU number, and you can import product data into your favorite point of sale, retail management, or inventory software. Counter works with any POS system, so you can use the app with your existing software. 1) Set up your products correctly. This will save you and your employees time, and it’ll minimize confusion and costly mistakes. 2) Invest in inventory training. Providing professional inventory training for your employees will help them understand the importance of the entire inventory management process. The right program will also cover important topics such as loss prevention. 3) Take advantage of training and/or onboarding services from your inventory management solution. Most modern-day providers offer services such as these, and getting the information straight from the source will ensure your employees know your inventory management system inside and out. 4) Set the right user permissions. This will allow you total control over what actions your employees can take when it comes to inventory — giving you peace of mind and minimizing the risks of theft and loss. 5) Use the right tools. Inventory management tools (such as Vend’s Counter app) can be hugely beneficial when it comes to helping your employees stay on top of inventory. Do you have any tips of your own? 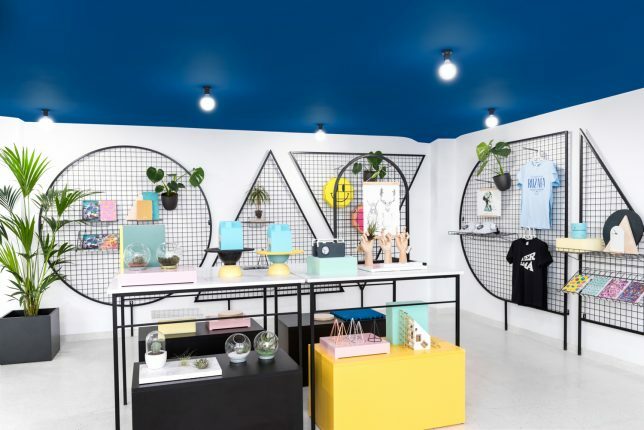 The post 5 Tips to Help Retail Employees Stay on Top of Inventory appeared first on Vend Retail Blog. 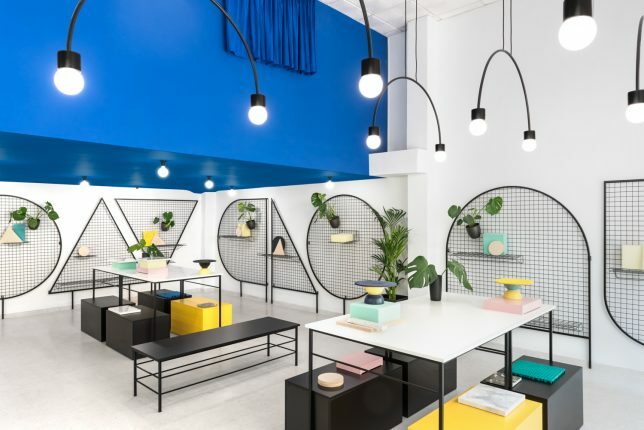 Spanish retailer Gnomo, founded by real-life couple Esther Martín and Álvaro Zarzuela, specializes in “everything you need for your contemporary survival.” We talked to the duo behind the concept store to get an inside look at Gnomo and how Vend has made both business and life easier for them. Read on for the interview. Tell us a bit about how you got started. What are you all about? 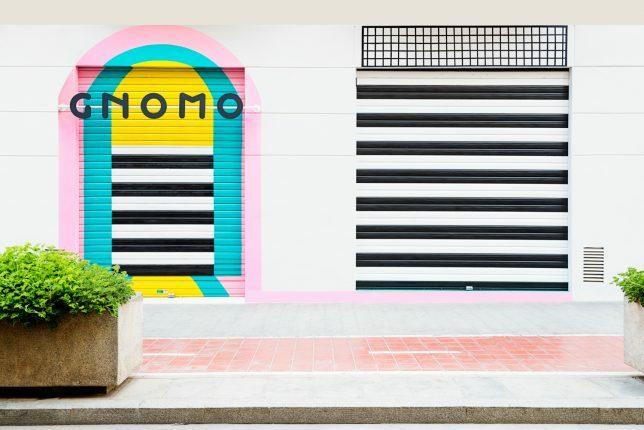 We’re Gnomo — a concept store in Valencia, Spain. We’re devoted to products rooted in quality design and creativity, from art prints and kitchenware to paper goods and jewelry. We like to say we offer objects absolutely necessary for contemporary survival. Gnomo was founded by us: Esther Martín and Álvaro Zarzuela, a couple both in business and in real life. We met some years ago when Esther lived in London. We matched from the very beginning, and a few months later, we opened Gnomo. 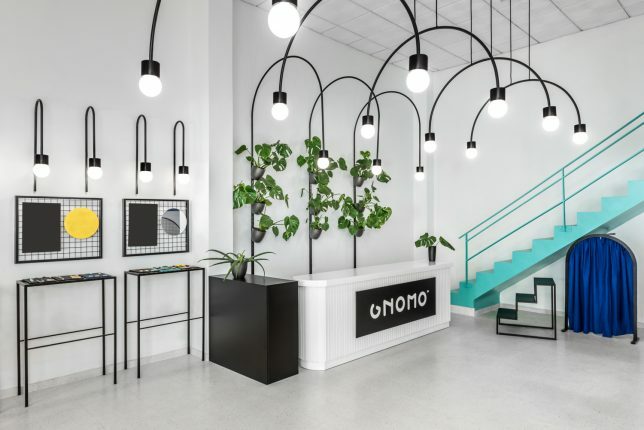 Gnomo is about joy, design, and fun. We’re committed to helping our customers shape their own lifestyles. We work and live in Ruzafa, a Spanish Mediterranean city and a historical neighborhood in Valencia. We really love the place; Ruzafa has a lot of street life and a strong sense of community. Valencia’s creative scene is very active, and it always has been. The city has a long tradition in this sense. And in recent years, many small initiatives have turned Valencia into a creative hub. We fell madly in love with the city because of this and felt it was the right place to open Gnomo. What brought you to Vend, and how have you found it? Would you recommend Vend to retailers like you? We looked for something like Vend six years ago — software capable of managing the POS and controlling the stock both online and in-store. Back then, we didn’t find anything like that, so we made it up ourselves. But let’s be serious: we’re into design and storekeeping, not code, MYSQL, HTML, and WYSIWYG (even if we really like the sound of it: WYSIWYG!). So with the business growing, our Access tables proved to have more and more limitations. We used to spend the whole morning calculating very simple sales reports, and that was time we didn’t use to make the business grow. We’d absolutely recommend Vend to other retailers. Vend is a super helpful tool in making buying decisions, designing proper budgets, making stock provisions, keeping the inventory under control, and managing the POS. We even fell in love with the support team! We love working for ourselves, and we really enjoy working together. Even our child has his space in the store. We also really like dealing with people. Being part of the urban life and the activity of the street put smiles on our faces every day. You fly high when you see your customers happy, especially because they come to Gnomo to enjoy and to wonder. Do you have any advice for retailers that you wish you’d known? Well, we’re not experts in anything. We just learned how to manage our business over the years — as anyone does with his own life, we suppose. Actually, we can’t really see the difference between our life and our business. It tends to happen when you work in your passion. But seriously: just keep your feet on Earth. This is business, and you want to make a life of it. Take risks, and know what you can and can’t afford. What’s your best retail tale? When we were moving to our new space after six years in the old one, an old gentleman walked in and asked us, “Are you leaving? What a pity! You’ve been the joy of this street. Every time I see your sign I feel I’m home.” He was a very serious gentleman, not a man we’ve talked a lot with in all these years. It reached our soul. To realize that you create emotions in your neighbors — that they count on you — is one of the best things about running a business in this community. You’ve recently started using Vend to run your online store as well. How’s it going? It’s super cool. Before Vend, our brick and mortar and online stores were unconnected, meaning we had to update our online stock by hand. In addition to taking a lot of time and mental effort, it complicated fulfillment and often led to broken-stock situations. As our sales grew, it became clear that this system was no longer efficient. And then Vend came along. Vend connects seamlessly with our Shopify online store, keeping the stock updated and saving us lots of headaches. Gnomo is inventory-intensive. How do you keep track of all your stock? For us, tracking inventory accurately is very important because we’re selling both online and in-store. So if we sell something online and have broken stock, it’s not cool at all; we need to cancel the order, and we’re offering a very poor experience to our customers. Vend turned this into easy work, allowing us to sell both online and in-store, as well as manage lay-bys and returns. For us, it means a new level of business. As far as keeping track of our stock: stock isn’t just numbers. It’s a necessary tool to offer a great UX. And it’s full of decisions. Should we track air plants as a single product? Or as variants? Or as different products? Stock management affects online customer experience and in-store checkout, as well as buying decisions — which in our case is a key factor. The post Vender of the Week: Gnomo appeared first on Vend Retail Blog.